FERNDALE – It’s 8:30 a.m. on Saturday, Aug. 21. Many Michiganders are still asleep after a long workweek, or just beginning to leisurely sip their morning coffee. But already, Ferndale’s Kulick Community Center is abuzz with action. Medical equipment, files and clipboards are shuffled inside. At least 20 people – some in civilian clothes, others in scrubs with stethoscopes hanging from their necks – rush around each other in a crowded hallway. Some have questions, while others have the answers. All are visibly busy. No, this isn’t the scene of a medical emergency. But it’s just as urgent. Quietly toiling, fundraising, spreading the word, gathering volunteers and equipment and knowledge, the FernCare free clinic – now two and a half years in the making – is finally open for business. For Board President Ann Heler, FernCare is the newest project in a series of commitments she has made to changing her hometown of Ferndale for the better. 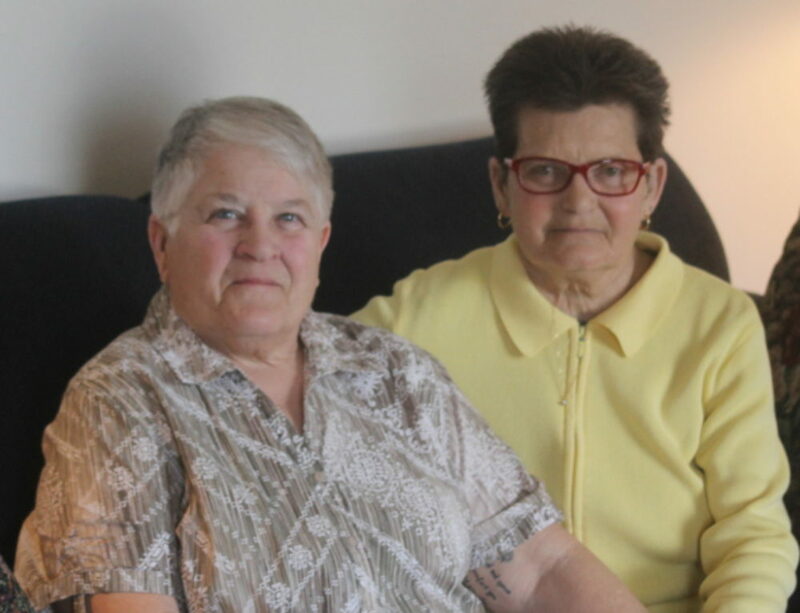 The 30-year resident and passionate supporter of LGBT rights began Friends and Neighbors of Ferndale with now Mayor Craig Covey in order to build relationships between the city’s gay residents and the greater community. She chaired the Hate Crimes Watch committee. She worked diligently to help pass the city’s non-discrimination ordinance. Heler is, to put it simply, one of the founders of Ferndale’s gay community. And now, she’s putting her well-known status and unrelenting do-gooder drive to yet another critical cause: providing health care to those who have none. It was a logic next step, Heler insists. It wasn’t easy, Heler admits, especially since not one of the founding board members had any background in health care or the medical field. But somehow, they made it happen. With only their dream of helping in mind, Heler and her team wasted no time, starting by putting a call out to their connections and holding a public forum on the issue in late 2007. The support was palpable, says Heler. April 2008 marked their first official board meeting. Their first fundraiser, FernCare Makes Music, was held Nov. 13-15 of that year. In 2009, the board worked to secure a $150,000 federal grant to create their future home in an old Credit Union One warehouse. And by this summer, with plans for the permanent clinic on hold as they awaited their promised federal funding, the FernCare Free Clinic could wait no longer. Conditions at the Kulick Center aren’t ideal, but FernCare volunteers are making it work. Every first and third Saturday of the month – which began Aug. 7 with a ribbon-cutting ceremony and the first 12 patients – FernCare literally sets up, doles out health advice, tests and prescriptions and disappears by lunchtime. Currently, they accept only non-emergency patients without insurance between the ages of 19 and 64. They provide maintenance care of chronic illnesses, to check-ups, diagnose and treat illnesses, dispense generic medications and make referrals for the services they cannot handle, such as dentistry or obstetrics. It’s not all they’d like to do, and it’s certainly not enough to meet the need says Heler, adding that their appointments are completely booked through October. The very first of those clients was Waterford resident Sara Martin. Unemployed for over a year and uninsured, Martin “was thrilled to death” to hear that FernCare was opening. 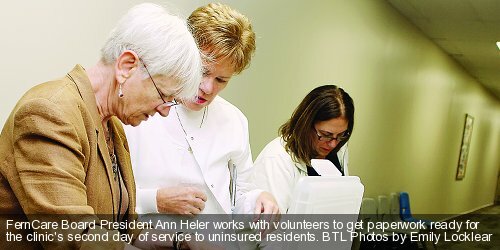 Lynn Rimer, a registered nurse from Henry Ford Hospital, understands completely. As Heler and her team wait to receive the federal funding to complete construction of the permanent FernCare Free Clinic, plans will move forward to keep those in need coming in to the clinic at the Kulick Center – and hopefully, to keep expanding to include more days of service, more programming and enough fundraising to carry them beyond the funds they have now, which should keep the clinic open for one year. From December 2009-April 2010, FernCare also offered a once-monthly series of educational seminars called Let’s Talk Health, where medical professionals would cover a variety of topics, including asthma, diabetes, massage, the health benefits of gardening and more. Heler hopes to start that series up again in October. And, because she knows all too well that the few existing free clinics cannot begin to cover all those in need, she hopes that seeing how FernCare came together will inspire others to start free clinics in their own hometowns. But with the help of free clinics like FernCare, hopefully they won’t have to. FernCare is still in need of medical and non-medical volunteers, as well as donations. To learn more about how you can help, or to make an appointment, visit http://www.FernCare.org , or call 248-677-2273.